Erin Rhoads has been writing about her zero-waste journey since 2013. 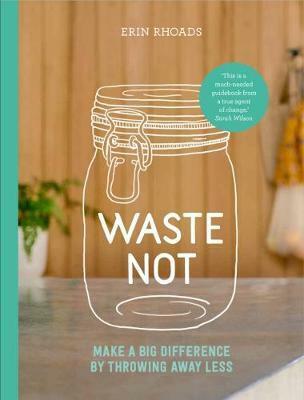 Her blog, The Rogue Ginger, quickly became one of Australia's most popular eco-lifestyle websites, and Erin is now a prominent commentator on zero-waste living. She divides her time consulting with businesses on waste reduction, sharing skills and ideas at workshops and talks for kids and adults around Australia, and participating in environmental action groups. Erin was a consultant on Australia's War on Waste and is a regular contributor on ABC Radio. She has been featured on BBC World, The Project, Sunrise, The Age, The Guardian, The Australian Women's Weekly, Marie Claire, Peppermint magazine and many more.